Go ahead, disparage away. You can flip the “drip, drip, drip” for her . . . Hillary Clinton and her tenacity are not going away. Nor should she, since HC remains the only viable Democratic candidate. So no, Joe, Hillary doesn’t need any help. Long-term, largely Republican strategist Richard Gephardt was, after all, one of the first to give the Joe story legs among progressive, NPR-listening Democrats — that Hillary would be knocked out in the primaries, and then the GOP can carry the 2016-day. And say what you will, HC does not lack composure, let alone a sense of humor. HC has what I’d describe as a maternal sense of humor, and an “It Takes a Village” platform that needs a lot more play. HC’s domestic issues focus on care-giving and care-receiving, which is neither gender-specific nor sexuality-specific nor age-specific . . . 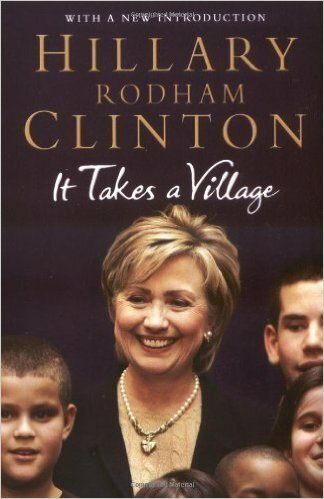 It actually not only takes a village, but includes the village — as do her positions on higher education and health care. She needs to lean more into these partially gender-specific issues to tap into some of Trump’s ability to gain more legitimacy and authenticity if she’s to showcase her long-term record of accomplishments along with her tenacity. HC should start hitting back. All presidential primaries and elections are based on character, and 2016 is no different. 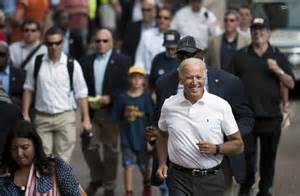 What defines both the Democrats’ primary and what the race will be is how the mainstream media as well as Democrats interested in boosting Joe describe Hillary as being on the defensive. HC is a woman warrior being described as a woman defending her own character. And as everyone knows, including GOP bullies, or just those wishful Democratic thinkers in support of Joe, a woman on the defensive is not good for any political party when it’s getting this close to some key primaries. This entry was posted in American Politics and tagged 2016 HC by Professor Ruth O'Brien. Bookmark the permalink.